The Jeep Patriot may only have one generation under its belt, but the compact crossover SUV made a big impact on drivers throughout the duration of its short-lived life. Unveiled in 2007, the Patriot was an unmistakable member of the Jeep brand family. Iconic in its stature and outward appearance, the newest addition to the Jeep lineup offered a shrunken down version of the SUVs America had already fallen madly in love with. In 2015, just eight years after the Patriot was introduced to the American marketplace, Jeep announced that the new Renegade would replace both the Patriot and the Compass crossover SUVs starting in 2016. Despite this announcement, and the rumor-spreading that ensued after it was made, the Patriot survived to live another day – or at least another model year. Jeep has released the 2017 Patriot model, and has not made an official comment regarding its once-confirmed demise. Great news for Patriot fans, and bad news for the competition – because like it or not, the Jeep Patriot appears to be sticking it out at least one more year. With nearly ten model years already produced, buyers who want a more affordable version of the compact crossover finally have their chance. Used Jeep Patriot models are abundant at local dealerships. All you have to decide is which one is right for you. The newest addition to the Jeep brand lineup, the 2007 Patriot was immediately the most popular new kid on the block. With seating for up to five passengers, and plenty of room for all their accompanying stuff, the Patriot offered a small take on the larger than life Jeep brand lineup. The Patriot was touted by Jeep as an expansion of the brand to deliver a vehicle with an entry-level price tag. When it was released in 2007, the Patriot was the most capable vehicle in its class, featuring unheard of 4×4 capability in the compact SUV segment; the 2007 Patriot also boasted a 19:1 crawl ratio, brake traction control, hill descent control, and 19-inch water fording capability. Simply put, the Patriot wasn’t just a miniature Jeep wannabe – it was a full-on member of the off-road family. While base Patriot models came with a manual transmission and very little amenities, the compact crossover was available with all the bells and whistles. These included a nine-speaker premium sound system, a 115-volt power outlet, phone integration, heated seats, and more. Offered in Sport and Limited trim levels, the Jeep Patriot had something for everyone when it first came to the market for the 2007 model year. A year after its release, Jeep added standard air conditioning on all Patriot models, and the Patriot Limited added a DVD-based navigation system, continuously variable transmission, and clutchless shifting on 4×4 models. Still offered in either the Sport or Limited trim level, the 2008 Patriot’s 2.4-liter 4-cylinder engine was standard across the line. With 172 horsepower rating, the Patriot showed its crossover roots when it came to the power department. Despite this fact, buyers who wanted to drive a capable Jeep brand vehicle for less money were able to do so. Starting new at just $16,485, the Patriot saved drivers money up front, and even more at the pump with an EPA-estimated fuel economy of 28 miles per gallon on the highway. For 2009, Jeep changed things up in the Patriot’s lineup. Boasting plenty of redesigned features and new amenities, the compact crossover from Jeep was shaping up to be a true standout in its class. Most of the updates on the 2009 Patriot were inside the cabin, which was now better equipped than ever before. With a redesigned instrument panel, a new center console, and updated door panels, the Patriot’s interior was made new again with chrome accents and new trim designs. To increase comfort on longer drives, the Patriot offered padded armrests for the first time, added sound insulation to reduce road noise, and updated the suspension for a less bumpy ride. The 2009 Patriot also came with the new UConnect system, which is a major “plus” for buyers looking at used Jeep Patriot models. Jeep’s first compact crossover model was offered in 2010 with a variety of standard and available features. The base Sport model came with a 2.0-liter 4-cylinder engine capable of producing 158 horsepower, while other trims came standard with a slightly more powerful 2.4-liter engine and a 172-horsepower rating. Drivers would choose from front wheel drive, or Jeep’s iconic 4×4 system. A new high-end Latitude trim level was also added, giving drivers more options than previous Patriot models were able to deliver. 2011 was a big year for the Patriot, receiving its first facelift since it came on the market back in 2007. Jeep gave the Patriot a full exterior makeover, consisting of updated front and rear bodywork, for a more rugged outward appearance. Jeep also introduced a new lineup of trim levels available, including the base Sport, mid-level Latitude, and the high-end Latitude X models. A 70th Anniversary special edition model of the Patriot was also offered in limited quantities, and can still be found as a used option for interested buyers. Inside the cabin, new and enhanced materials were abundant, giving the Patriot a more streamlined and high-end feel. The 2.0-liter four-cylinder is still standard on the base Patriot Sport in 2011, and is capable of producing a 158 horsepower rating. The more powerful 2.4-liter engine, capable of delivering 172 horsepower, is standard on both the Latitude and Latitude X trim levels. Drivers were able to opt for the standard front-wheel drive, the more capable all-wheel drive, or the fully trail-rated four-wheel Freedom Drive II system, designed exclusively by Jeep. Thanks to the addition of Jeep’s Freedom Drive II, the 2011 Patriot was the first to receive the capable Trail Rated designation from the rugged brand. Ranked in the top 20 most affordable compact SUVs by US News and World Report, the 2011 Jeep Patriot started at $15,995, and topped out at a MSRP of $23,895. Out with the new, and back to the old, the 2012 Patriot was once again offered in three basic trim level packages: Sport, Limited, and Latitude. Each was available with either front-wheel drive or four-wheel drive, and the same two engine options from previous model years were still on the docket in 2012. With up to 172 horsepower and 165 lb.-ft. of torque, the Patriot has plenty of performance-ready power under the hood for a crossover, without going overboard. The EPA estimated fuel economy for the 2012 Patriot reached up to 29 miles per gallon on the highway, and 20 in the city. Liftgate speakers, halogen headlights, and heated seats gave the Patriot a higher-end feel, without the matching high-end price tag. The 2012 Patriot brought back the Freedom Drive II off-road package, as well as the Freedom Drive I on-road package, that was designed to perform well in inclimate weather conditions, but not necessarily navigate off-road trails. While the 2013 Patriot did not receive any notable updates for this particular model year, it did manage to get a bump up in the fuel economy department. Now boasting a maximum fuel economy of 30 miles per gallon on the highway, the Patriot was one of the more economical crossovers available in 2013. A new optional Freedom Edition package was also made available for the first time, and included 17-inch wheels, star decals, and other patriotic touches. Jeep donated $250 to military charities every time a 2013 Patriot was sold, giving hopes to millions of active duty soldiers, veterans, and their families. Aside from trimming down the different options on the 2016 Patriot, the compact SUV was largely unchanged for 2016. The new trim level lineup included the Sport, Latitude, and High Altitude as options for new Patriot buyers in 2016. The standard Patriot model in 2016 came better equipped than previous base models, and included roof rails, fog lamps, rear privacy glass, tilt steering, 60/40 rear split seating, Bluetooth integration, and satellite radio. 2016 marked a major milestone for the Jeep brand – its 75th anniversary. In true Jeep fashion, the brand released 75th Anniversary Special Edition models across the lineup, including one for Patriot. Aside from these minor changes and updates, the 2016 Patriot remains relatively the same from 2015. The latest Patriot in the Jeep lineup has already been released for the 2017 model year. Still affordably price, the base Patriot features a starting MSRP of just $18,040. The high-end High Altitude trim tops out the lineup with a price of $25,220. The standard 2.0-liter engine delivers up to 30 miles per gallon on the highway, saving drivers even more money down the road. With electronic stability control, electronic roll mitigation, and hill start assist technology, the 2017 Patriot is safer and more capable than ever before. Released earlier this year, the 2017 Patriot is now starting to hit used dealerships, making it a great buy for drivers who want a like-new Patriot, without the brand-new price tag. The Faricy Boys are the number one Jeep experts in Colorado. Boasting an off-road test track, you can gain confidence behind the wheel of your capable Patriot before heading out on your own. 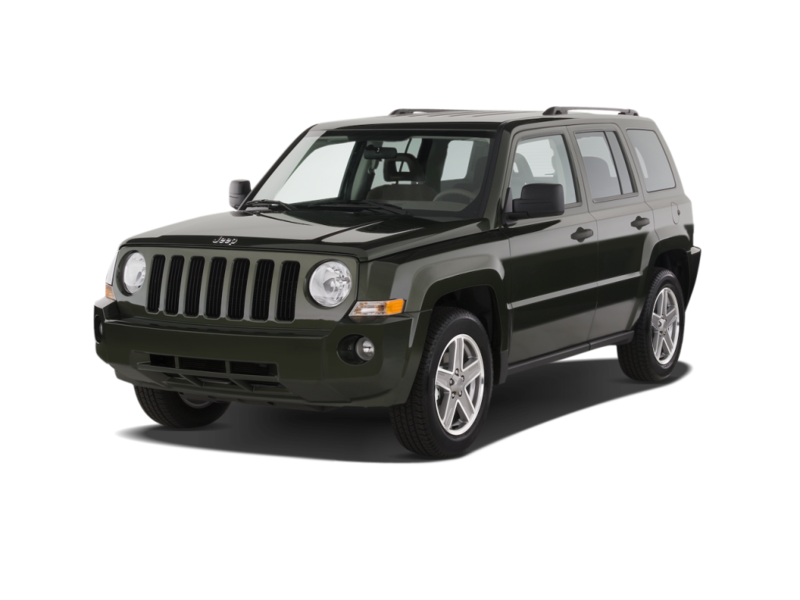 There is no better place to find the perfect used Jeep Patriot than with the expert team at The Faricy Boys. Be sure to stop by soon, and get into an all-weather capable iconic SUV from Jeep before winter is in full swing. We hope to see you at The Faricy Boys here in Colorado Springs, very soon.